With this method can be measured e.g. the number of single walled carbon nanotubes and their concentration in a carbon nanotube layer. Researchers working at the Aalto University and at the Royal Institute of Technology KTH in Stockholm have developed a new method for measuring the number of single walled carbon nanotubes and their concentration in a carbon nanotube layer. 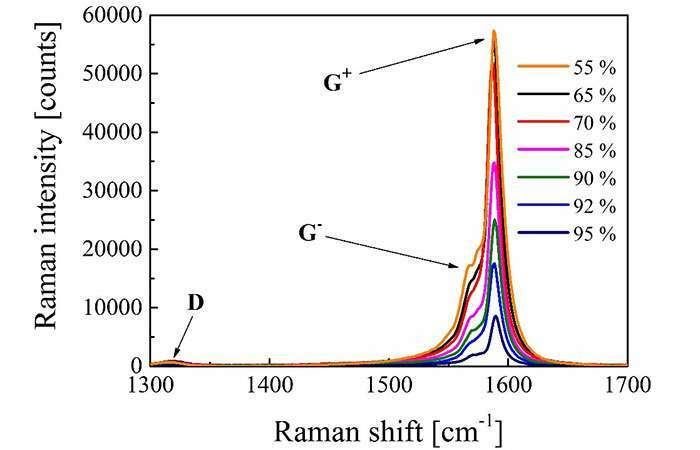 The novel method is based on measurement of the Raman spectrum together with precise measurement of mass and optical absorbance. The dependence of the number of the CNTs on the phonon scattering intensity is observed. This method opens an opportunity for the quantitative mapping of sp2 bonded carbon atom distribution (i.e. those atoms that form the carbon nanotubes with bonds to three other carbon atoms) in the CNT layers with a resolution limited by the focused laser spot size. CNT based materials are intensively studied due to a number of novel and unique properties that make them potentially useful in a wide range of applications. Extremely thin CNT layers offer outstanding properties like excellent flexibility, optical transparency, high electrical conductivity, extremely small weight, and low processing costs. 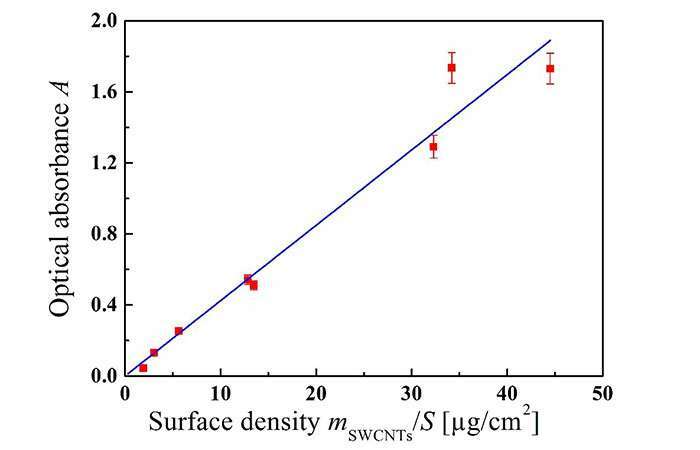 Optical and electrical properties of a CNT layer can be varied with changing, e.g., the diameter and length of nanotubes or the amount of carbon nanotubes in the layer. 'CNT layers can be used for fabrication of transparent electrodes, fuel and solar cells, supercapacitors, etc. Therefore, a measurement technique for the number of carbon nanotubes in the CNT layer is very useful,' says Irina Nefedova, one of the researchers in this project, who defended her thesis of electrical and optical properties of carbon nanotubes in March 2017 at Aalto University.